Thousands of Ryanair flights have been cancelled over the next six weeks, as the airline says it "messed up" allocation of its pilots' annual leave. The Irish carrier is offering alternative flights and refunds to passengers who are affected, but faces a compensation bill of up to 20 million euro (£17.7 million). As many as 50 flights a day up to October 28 have been shelved, with only those flying within the next fortnight entitled to compensation. When planning a holiday, taking out comprehensive travel insurance can provide added peace of mind and protect against last-minute cancellations. The airline has been forced to confirm with European Law, with staff holiday changes needing to be allocated before the end of the year. 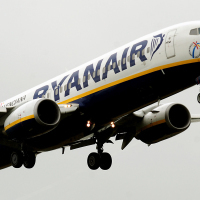 Ryanair Boss Michael O'Leary says Ryanair will not be looking to wriggle out of its compensation responsibilities. "This is our mess-up," he said. "When we make a mess in Ryanair, we come out with our hands up." Insisting the airline is not short of pilots, he added: "What we have messed up is the allocation of holidays and trying to over-allocate holiday during September and October while we're still running most of the summer schedule, and taking flight delays because of principally air traffic control and weather disruptions." Under European regulations, passengers flying within 14 days of a cancelled flight are entitled to claim compensation up to 250 euro (£221). Alex Neill, a managing director at Which? consumer service, says Ryanair should be offering passengers clear information about what they are entitled to. The MD says the carrier has a legal duty to offer alternative flights or provide full refund to passengers who are affecte, and to reimburse all "reasonable" out-of-pocket expenses. "The airline will know which passengers are entitled to compensation and should pay this out automatically, so they don't have to go through the additional stress of trying to claim what they are rightly owed," added Mr Neill.